Shishito peppers are small and green, with a thin skin. They appear similar to the Spanish Padrón pepper (which is served the same way) but are less spicy and more wrinkled. 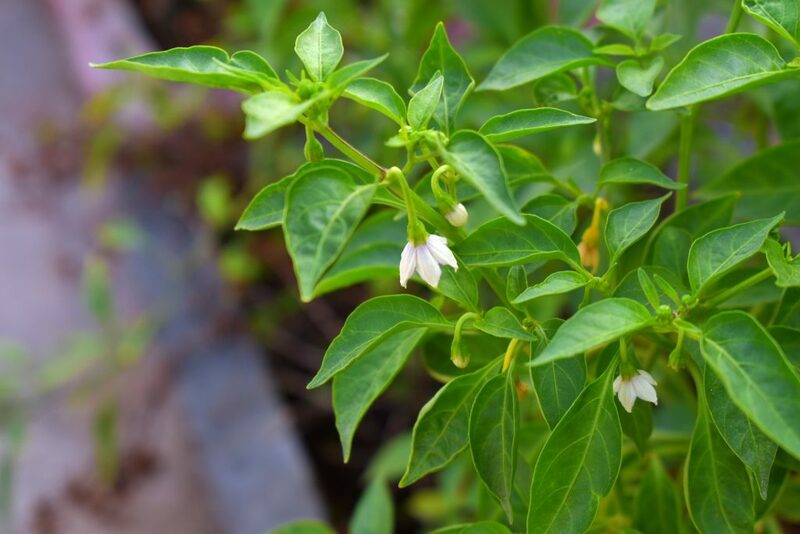 Though shishito peppers are usually very mild, one in every ten is spicy. The larger shishito peppers grow, the more potential they have for heat. Start your peppers indoors about 8 weeks before the last frost. Pepper seeds germinate best when they are kept warm (70 to 90°F) and moist. For warmth, you can place them in one of the warmer areas of your house, or invest in a heat mat. Some gardeners choose to pre-soak their seeds to improve the germination rate. Soaking the seeds rehydrates them and “wakes them up.” This guide provides more information on germination techniques. After about two weeks, you should see little shishito pepper sprouts. Now that your peppers have sprouted, they need less moisture than before. Too much moisture will cause fungus to grow in the soil, killing the seedlings. Let your soil dry out between waterings. The sprouts need more light now as well. Peppers are a full-sun crop, requiring at least six hours of sunlight a day. Poor lighting will cause the seedlings to grow leggy, resulting in a fragile, flimsy plant. Peppers should do well in south-facing windows, but you can also supplement sun with grow lights. One popular method is to hang two T5 to T8 shop lights so that the tubes hang about 2” above the seedlings. As the seedlings grow, move the light up to maintain that distance. 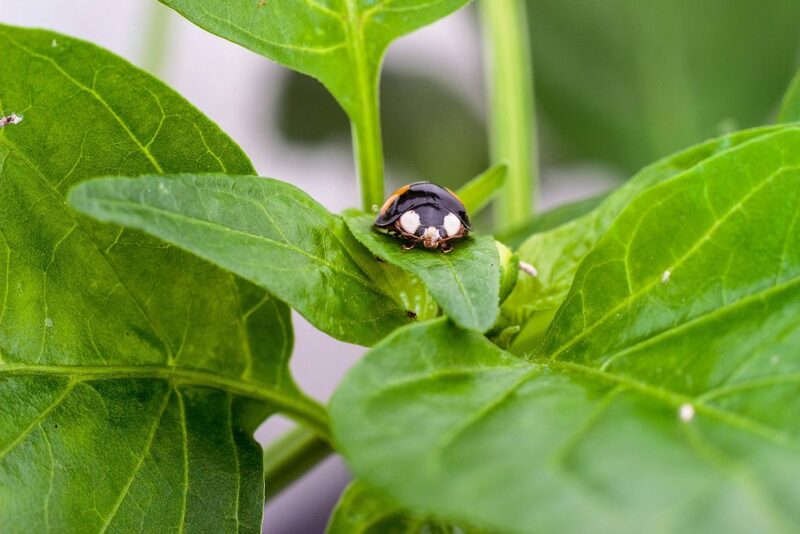 When your peppers first sprout, they’ll have a pair of “seed leaves” (called cotyledons), which will soon be followed by a pair of real leaves. After your seedlings get their second pair of real leaves, pot them up into a 3 – 4-inch pot so that they have ample room to continue growing. Use a well-draining soil mix (perlite is useful for this). After about three months, your shishito peppers will have several true leaves. At this point, you should start giving them nutrients (more on this below). You may also choose to top your pepper plants. “Topping” is the process of removing the growth tip from the plant by cutting off the top of it, which encourages more growth below. After topping, the plant will form a Y shape, sprouting two new branches from the top. This results in a bushier plant with a better yield. Learn more about topping and pruning here. From seed, peppers will take about five months to harvest. If you’re buying seeds early (or have some left over), store them in a dark, dry place. If you are choosing to transplant your shishito peppers into an outside garden, you will need to harden them off first. 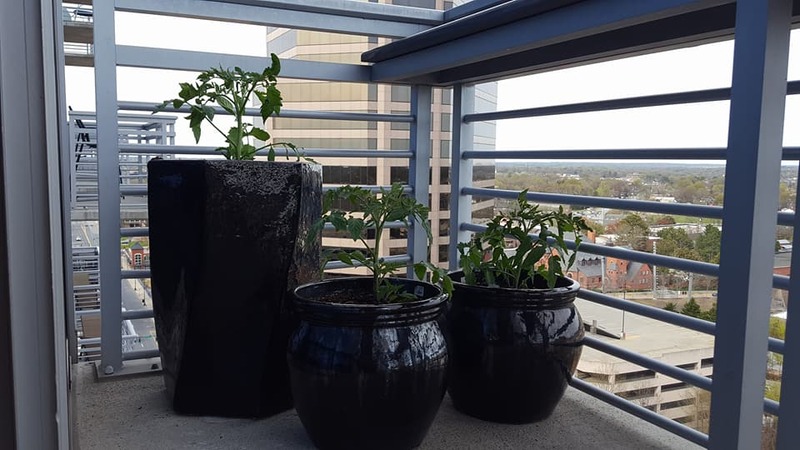 You can do this by giving the peppers a few hours outside in the sun each day so that they gradually adjust to the less controlled outdoor environment. 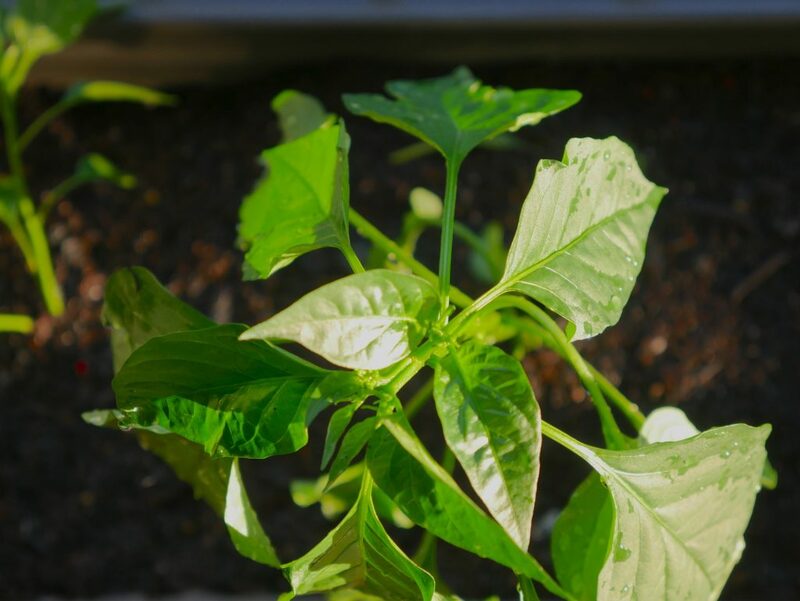 Plant your peppers in well-draining soil where they will get 6 or more hours of sunlight (ideally a south-facing garden). Leave 2 feet of space between plants. Shishito peppers will grow well in a container garden as well. The same rules apply – use well-draining soil, and place the container in full sun. Your container should be at least 5 gallons. Light: Shishito peppers require full sun, meaning a south-facing garden, or for indoor plants under lights, 18 hours on, 6 hours off. Temperature: Shishito peppers prefer temperatures between 60 and 90°F. Pepper plants die in a freeze, and wilt in extreme heat (110°F). At lower temperatures, they will grow very slowly. Water: Do not overwater. Pepper plants don’t like their soil constantly moist. Water once every 4 – 5 days, allowing soil to dry between waterings. During hot summers, you may need to water every other day. Fertilizer: Start providing nutrients once your shishito pepper has developed a few sets of true leaves. You’ll want to add fertilizer every month. The plant will need nitrogen for foliage growth and later will need phosphorous to flower. Harvest your shishito peppers when they are still green and about 3 – 5”. If you find that the peppers are too hot for you, harvest them smaller, which will reduce their heat. Larger peppers are more likely to be spicy. To cook your new harvest, you need only olive oil and sea salt. In a sauté pan, heat oil until almost smoking. Add your shishito peppers and toss them in the hot oil. Turn the peppers as they cook, until they’re blistered on all sides and have a bit of char (about 10 minutes). Remove shishitos from heat, sprinkle with sea salt, and serve!